When you come to see Lets Be Frank you'll hear both songs that you know and love and those you may not have heard in years but hold a fond place in your heart. 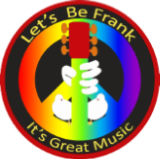 Let's Be Frank has grown from an acoustic act made up of three Franks; Frank Trombino (bass/vocals), Frank Cecere (guitar/vocals), and Frank Gualtieri (guitar/synth/vocals) into a six piece band that plays rock, pop, and dance from the fifties thru today. The goal is to take the older crowd back to their youth, the younger crowd onto the dance floor and to have everyone thirsty enough to keep the barmaids/bartenders busy all night. The band is available for clubs, restaurants, corporate events, weddings, and just about any occasion. The current lineup includes the three Franks as well as long time friends Patrice Devincentis (keys/synth/vocals), Rudy Ayala (drums/percussion) and the fantastically talented Lizz Berkowitz (vocals/percussion). Five of the six band members sing and two play synthesizer so the sound is big. They pride themselves on their 3, 4 and even 5 part harmony. When you hear their Four Seasons medley you'll know why. Those voices along with the two synthesizers allows the band to cover a wide range of songs. When you come to a Let's Be Frank show you'll hear the stripped down guitar sounds in Buddy Holly's That'll be the Day and the lush strings in Etta James' At Last, the harmony vocals of the Four Seasons, The Mama's and Papas, and Crosby Stills and Nash and the big horns in Paul Simon's You Can Call Me Al and Portugal the Man's Feel it Still. As seasoned, professional, and experienced musicians the band always delivers and always entertains. We hope to see you seeing us!!! You can find out more about the band members by clicking here .